4" Double Hook / Great for holding long handled tools and medium sized hardware! Universal tongue and groove design allows for easy attachment to Wallscape slatwall. 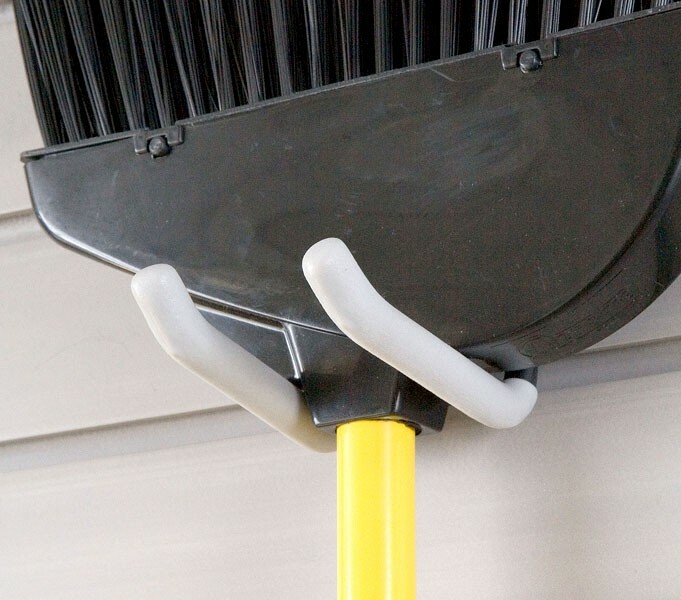 A very convenient slatwall accessory hook used to hang small and medium sized hardware items, long-handled items (such as hammers, gardening tools) and a variety of other uses. Graphite color with non-slip tips.